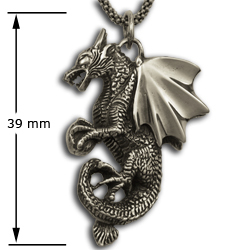 One cool customer... Hand-craftsmanship and a detailed eye are the trademarks of this sterling silver Dragon Pendant which was originally carved in bone, then molded and cast in sterling silver. Oxidized to accentuate the hand-worked detail, this would make a great gift or addition to your own collection. 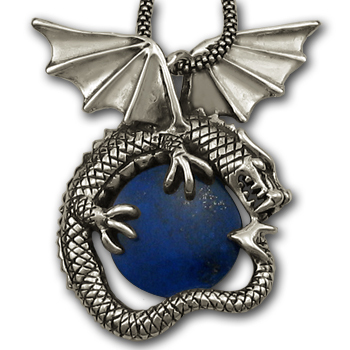 As a dragon lover I have a LOT of dragon jewelry, but this is perhaps the most detailed silver pendant I've ever seen. I am totally impressed with both the craftsmanship and with the price. Will definitely be a return customer!